This report examines Malaysia's early experience of implementing regulatory impact analysis (RIA) to support evidence-based rule making. The introduction of RIA is a key element of Malaysia's National Policy on the Development and Implementation of Regulations, launched in 2013. Malaysia has put in place the institutional infrastructure for implementing RIA at a rapid pace, learning from the experiences of a number of OECD countries among them Australia, the Netherlands, Korea and Mexico. However, Malaysia needs to move its attention from advocacy and awareness raising to guiding and supporting regulators to apply RIA. This report's recommendations focus on the need for the government of Malaysia to: consolidate the implementation of RIA over the medium-term; integrate RIA into Malaysia's policy-making processes; and build the capacity inside government necessary for ensuring high-quality RIA. Implementing these recommendations will assist not only Malaysia's domestic policy goals but also promote regional integration in Asia Pacific Economic Cooperation (APEC) and the Association of Southeast Asian Nations (ASEAN) through supporting regulatory convergence. 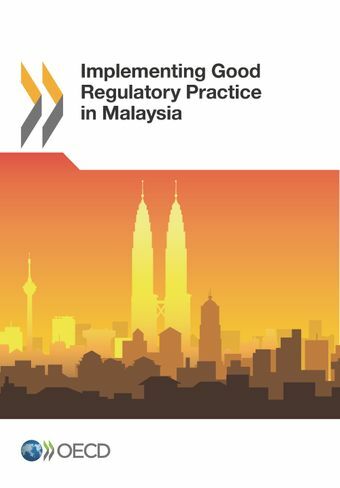 This report was launched at the ASEAN-OECD Good Regulatory Practice Conference 2015 on 10 March 2015 in Kuala Lumpur, Malaysia.